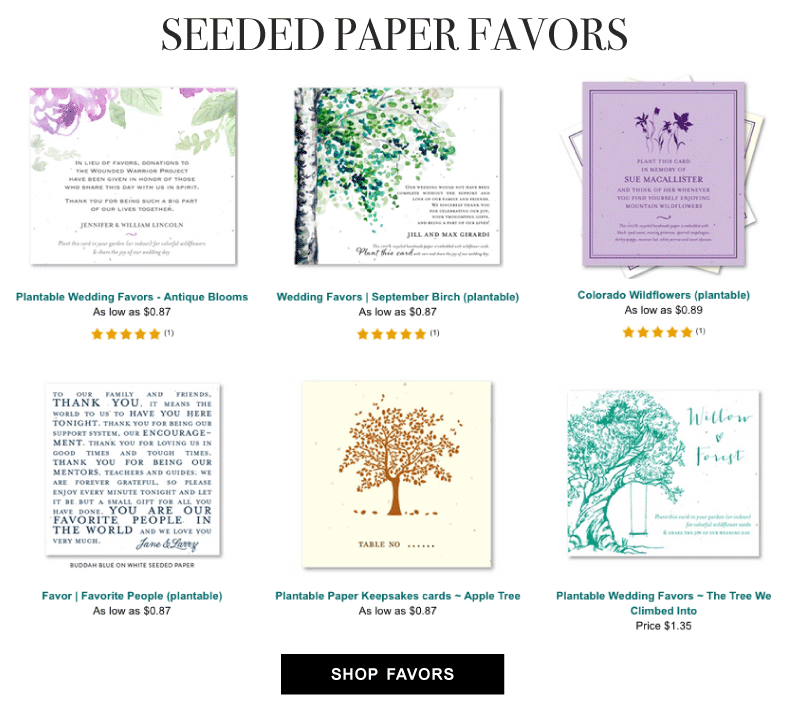 I ordered the 3x 3 honeybee place cards for my wedding this September. They were so cute! I strung them up on strings at my reception. Everyone loved them and how creative they were. I ordered too many but since they are plantable I will just being putting the extras in our garden. The staff was able to custom make my bee because one had not previously been on the website. It took some time for the order to arrive, but I realize they had to make the product. Everything arrived to my house intact and perfect. Thank you so much for making my wedding extra special with your ecofriendly product!